"While so much in medicine is changing, some things shouldn’t. I highly value the longstanding relationships I have formed with so many of my patients and strive for our practice to continue to deliver excellent care with a personal touch." At my concierge practice, I am able to offer you a truly personalized experience, with time for what matters most…to look beyond symptoms and address the root cause of illness, to create individualized wellness plans, or to simply listen to your most heartfelt concerns. 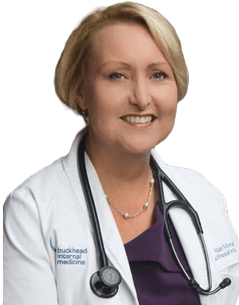 I invite you to call my Patient Information Line today and see what’s possible, or click here to learn more about my concierge medicine practice.